Although they’ve been locked out by the league, it hasn’t stopped NHLPA members from hitting the ice for good causes. Over 30 current and former big-league players faced-off at Mariucci Arena on the University of Minnesota campus for the Defending the Blue Line charity hockey game. Defending the Blue Line is an organization that works to ensure that children of military members are afforded every opportunity to participate in the game of hockey. They accomplish this by providing free equipment for military kids, hockey camps, special events, and financial assistance for registration fees and other costs associated with hockey. For Shane Hudella, who launched the campaign three years ago, having the Players support the cause he runs was certainly appreciated. 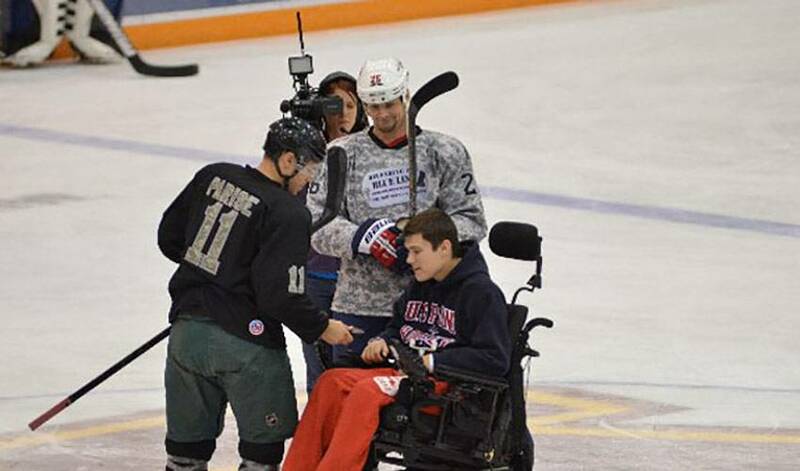 I am extremely grateful to the NHLPA pros that took the time to come out and support our cause last night in Minnesota,” said Hudella, who played a portion of the game for Team Army against Team Air Force. “The negative effect from the lockout on our organization is tremendous, but the players stepped up and helped us raise enough money to keep about 100 more military kids in hockey, and I can't thank them enough. NHLPA members, including George Parros, were happy to lend a hand, for the event that raised close to $50,000. 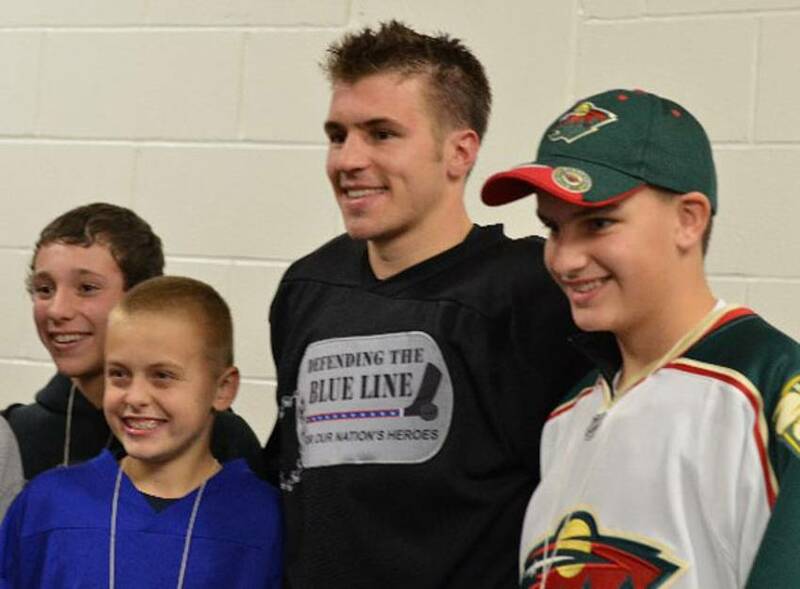 It was forward Zach Parise who spoke to Hudella about the idea of having the fundraiser in Minnesota, the place where two other Defending the Blue Line games have been played since 2009. “The game on Sunday was a great example of the commitment the players have to our cause, and to the men and women defending North America's freedom every day,” offered Hudella, of the event that was held at Ridder Arena, home to the Gophers women's hockey team, in 2011. NHLPA members who participated in the game included: Keith Ballard, Stu Bickel, Justin Braun, Kyle Brodziak, Dustin Byfuglien, Ryan Carter, Cal Clutterbuck, Matt Cullen, Troy Davenport, Davis Drewiske, Matt Hendricks, Jack Hillen, Tim Jackman, Erik Johnson, Matt Kassian, Mikko Koivu, Mike Lundin, Ryan Malone, Paul Martin, Jimmy O'Brien, Kyle Okposo, Zach Parise, George Parros, Chris Porter, Darroll Powe, Dan Sexton, Clayton Stoner, Ryan Suter, James Van Reimsdyk, Stephane Veilleux and Blake Wheeler. For those keeping score, Team Army defeated Team Air Force by a 9-7 count, in front of 3,000 appreciative fans. More information on Defending the Blue Line plus photos of the game here.